Create a new file 5″ x 7” at 300pix/inch in RGB mode. 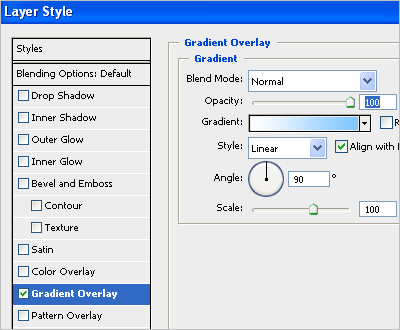 Color the background layer with a blue linear gradient. 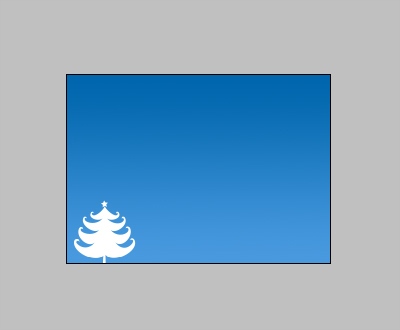 Draw some basic tree shape or use my “tree.eps“. Place the “tree.eps” as “smart object”. 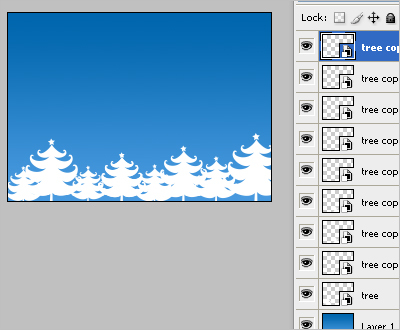 Copy it (CTRL+J on PC or Cmd+J on Mac) as much as you want – resize it and plant it all over your Christmas card. You can resize it freely because it’s vector format and it will not loose a bit on quality. Color them in different tones of white and blue to create an illusion of depth, 3rd dimension. 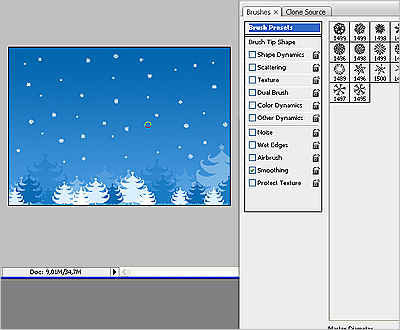 Create a new layer (CTRL+Shift+N on PC or Cmd+Shift+N on Mac), use snowflake brush from brush set “Grunge Snowflakes Brush” – spread snowflakes in different sizes all over the background. 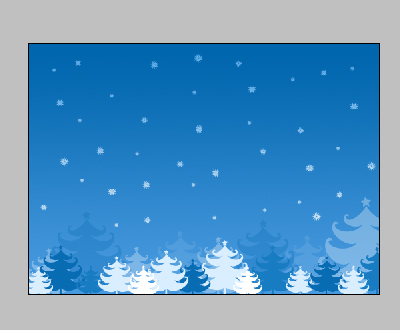 Color the layer with the snowflakes with “Gradient Overlay” from white to approx 45% of cyan. Now you can write “Merry Christmas” or “Happy New Year” and Christmas card is finished! 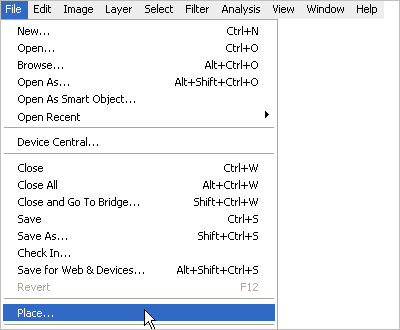 Excellent tutorial – I just Dugg and stumbled it. 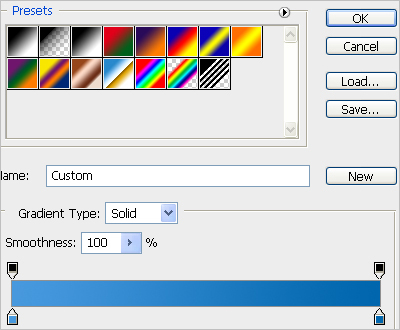 How did you make the custom shape? I’ve got Illustrator and Photoshop, and I want to be able to create my own custom shapes, but I can’t figure out how. BTW: I’m completely new to Illustrator and not that experienced with PS either (but it’s the illustrator part I need help for!). pedervl – thanks for your visit! In this tutorial I used simple .eps placed in PhotoShop (not the custom shape)… Custom shape is easy to create, and I will make one tutorial (and free downloads) on them too. Sorry about this, but where do I save the .eps to? I have tried a couple of times but I am not getting any image at all.